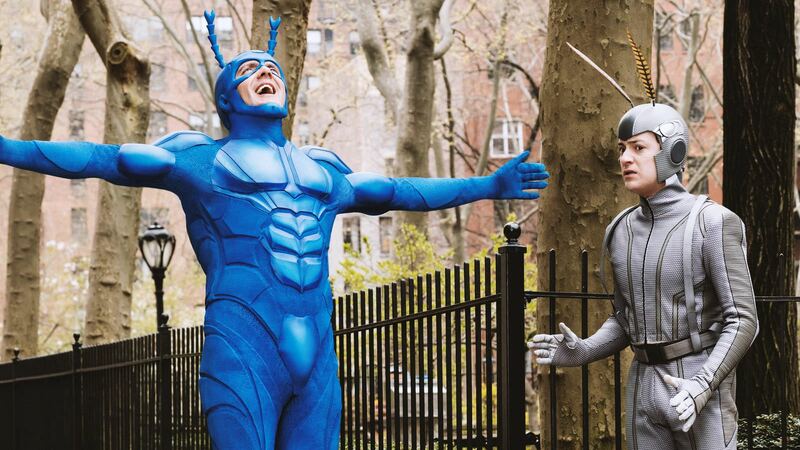 The Tick was a show that took me a while to get but when it finally clicked I realized I had been missing out. The first live action show and animated series were both great in their own way so when Amazon announced a new show for their Prime Video service I was pretty excited and hoped they wouldn’t mess it up. So how is this Tick series revival? A bit of a mixed bag. It should be noted the pilot episode came out in 2016, the first part of season 1 which has one storyline in 2017 and 2018 saw the release of the second story arc of season 1. 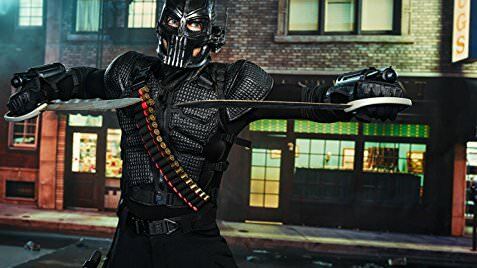 I don’t understand the route they decided to take this show on, it’s still a parody I guess.. they have the budget to have fight scenes and whatnot.. it’s still an adult show.. It’s just not funny, the writing is terrible and boring, it doesn’t seem to know that it’s a parody at times acting a bit too serious. IT had the potential of outdoing both series and yet I was really disappointed after the first few episodes. The show never becomes out loud funny, it’s too story focused but the story is not interesting, really the whole origin could’ve been one episode instead of a 6 episode mini-series. It just felt like they were stretching it what could’ve been one or maximum two solid episodes. The second half of the first season picks the pace up and does improve on most things. 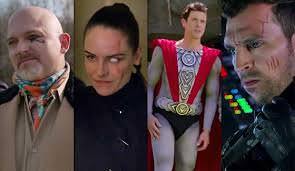 There is a larger cast for the Tick and Arthur to interact with, more action and a better story to tell that doesn’t drag as much. The humor is sometimes there but it’s not enough when compared with how much below average segments you have to go through. 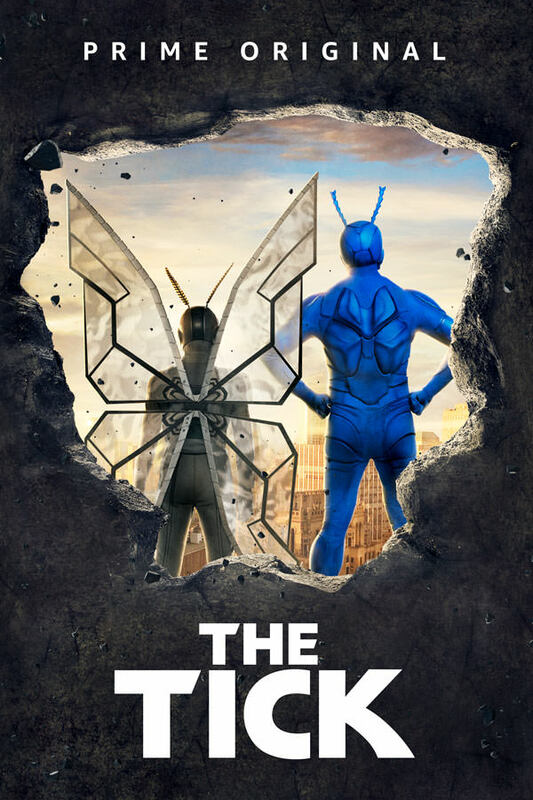 It’s cool to see a live action Tick show with a budget (well when compared to the original) but man the other show did so much more with so much less. I feel like all the cool effects that we had only been able to see in the cartoon version of The Tick but now we have them in live action and they’re being wasted with not the best writing. As I mentioned the second half of the season is better at this but doesn’t reach the potential the show has. The second story arc drags a big but nowhere as near and the Very Large Man (VLM) is such a funny joke to see every episode. There is a bit more action and better character interaction which all made this second part of the season far more enjoyable than the first. 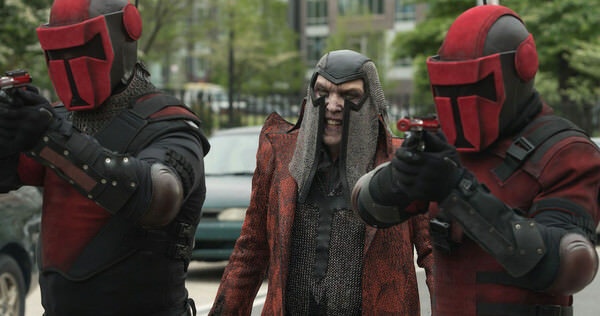 It’s awesome to see The Terror in a more active role than his previous two incarnations and seeing more parody heroes. I’m still hoping we get a parody of Wonder Woman and Batman like the two previous shows did an excellent job with them. There’s a lot of potential here, I don’t know why it’s so boring really. Luckily it was renewed for a second season so we can hope they learn what worked and what didn’t. The comedy needs to be reworked, it’s just not that funny right now and that’s the biggest flaw of the show.